Identities are constructed on the basis of elements, which define individuals, people and groups. These defining elements can be religion, language, profession, educational background, ethnicity, culture, class, gender, sexuality and many other aspects, which either determine one’s individual identity or people’s social or group identity. Because people have multiple identities, individual identities exist along group identities and national identity. Our interpretation of who we are and how we are perceived by others is based on our “self-identity” and our “self-categorisation” into social groups. 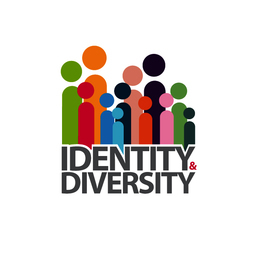 Identities dependent on the social, political and historical environment and on other people’s perception and because identity is socially constructed, it transforms and changes over time. This conference wants to focus on the multiple identities, which define the people of the Western Balkans and explore how political culture, minorities and gender are impacting on peoples’ identities. What is a typical political culture in the Western Balkans? By understanding the way political culture functions can help us understand how and why the Western Balkans governments are organized in a certain way, why democracies succeed or fail in the region. Deepening this matter can provide clues to some other elements that define identity, such as minorities and gender. Are minorities a more powerful identity-marker than nationality or ethnicity? What are the main parameters of gender in the region? Is there a relationship between gender and conflict? Does the Western Balkans remain a region dominated by patriarchal gender norms? Hence, the aim of this conference is to discuss how the three elements, political culture, minorities and gender, define people’s identity and how they influence the people living in the Western Balkans.